Going to a wedding alone is seriously underrated. From getting the cute cousin’s digits to hitting the dance floor whenever you want, we’re here to tell you why not having a plus-one isn’t as devastating as you think. Didn’t snag a plus-one to your bestie’s upcoming wedding? Try not to rant about it too much on Twitter just yet. Going to a wedding alone really isn’t as awkward as you may think. There are actually a lot of positives to attending a wedding solo, even if you were really banking on bringing that new match of yours from Bumble. Still think it’s the end of the world? Let’s clear some things up for you so you’ll want to RSVP “yes” to the big event. 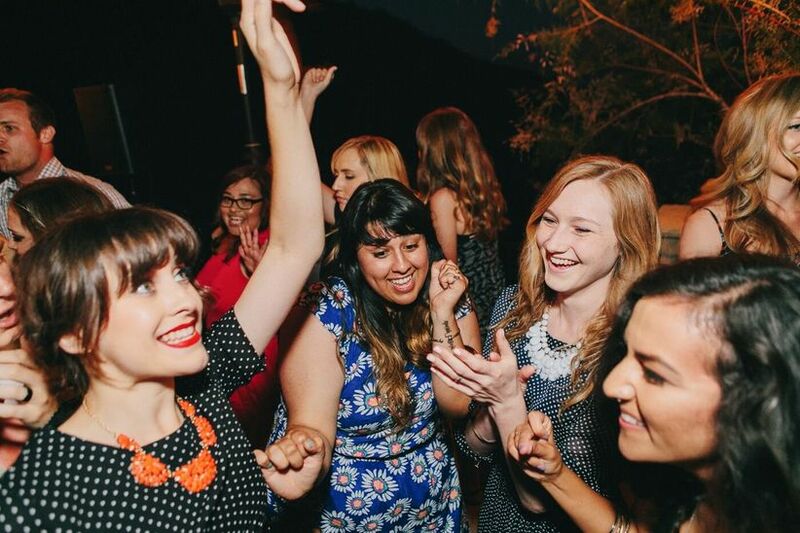 Here’s why going to a wedding alone is actually a hella good time. Usually, when you have a plus-one you’ll want to make sure their necktie matches your dress color or their jumpsuit matches whatever you’re wearing, and so on. But, when you’re going to a wedding alone, you don’t have to worry if that jewel-toned dress you’ve been eyeing coordinates with anyone, minus, well, the wedding party. So, if the dress code permits, go bold with your outfit choices because you’ll never know who you may bump into at the ceremony or on the dance floor. 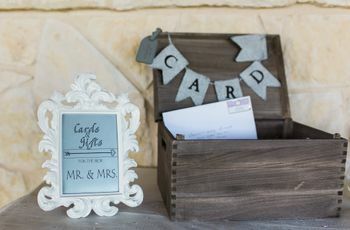 While you may not be able to go splitsies with the wedding gift, you are able to purchase whatever you think is suitable for the happy couple. You don’t have to go back and forth sending screenshots of different products, asking, “Which one do you think?” Instead, you can easily peruse their registry and buy something that’ll make them think of you every time they use it. Whether that be lemon-printed oven mitts or an engraved cheese board, the choice is yours alone. Now this doesn’t mean you should overserve yourself or be that guest at the reception, but you definitely can mix and mingle during cocktail hour or at the bar. There are a lot of great opportunities to start some conversations up at the bar — especially if you know the bride or groom has a hot single cousin or college friend — Yass honey! Feel free to order one of the newlywed’s signature drinks and spend some time talking to guests as they surround the area. If you’re lucky and it's an open bar, don’t hesitate to ask for a glass of your favorite wine or other cocktail. Like we said, one of your hosts could very well have a smokin’ hot relative that’s also attending the wedding solo, which means you totally have the chance to exchange info throughout the night. 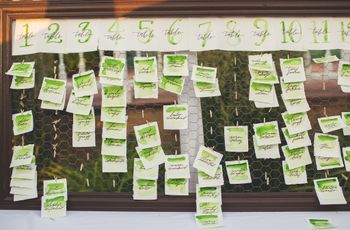 Actually in a recent, WeddingWire study, 38 percent of guests exchanged numbers with someone they met at a wedding. A whopping 50 percent even admitted to having some kind of romantic encounter with someone at a wedding. 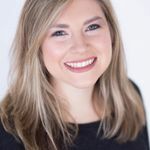 So, don’t think you’re the only one who’s attending the wedding alone — you may very well meet a few other single guests who could catch your eye. If you’re not interested in swapping Instagram handles with a potential new flame, this doesn’t mean you won’t be able spend some quality time with others. 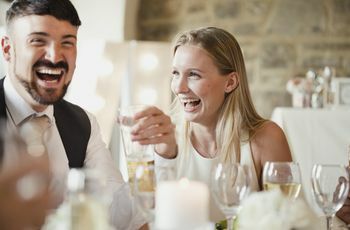 If you happen to know other people at the wedding, it’s much easier to strike up a convo with old acquaintances or friends when you don’t have a plus-one worry about. Instead of constantly introducing your partner or making sure they feel included in conversations, you can spend time exchanging stories with people you may not get to see as often. Whether they’re old classmates who you and the bride hung out with in high school or the groom’s older sister who used to cart y’all around as kids, going to a wedding alone let’s you have the chance catch up with everyone. 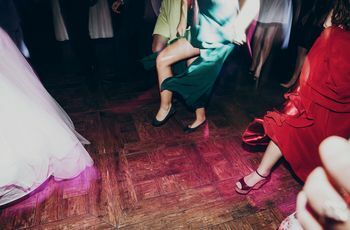 Group dances, like the “Cupid Shuffle,” or even just joining the crowd when “Shout” comes on are perfect for single guests to get their groove on. These fast-pace songs are easy to join and can lead to an awesome night spent on the dance floor. 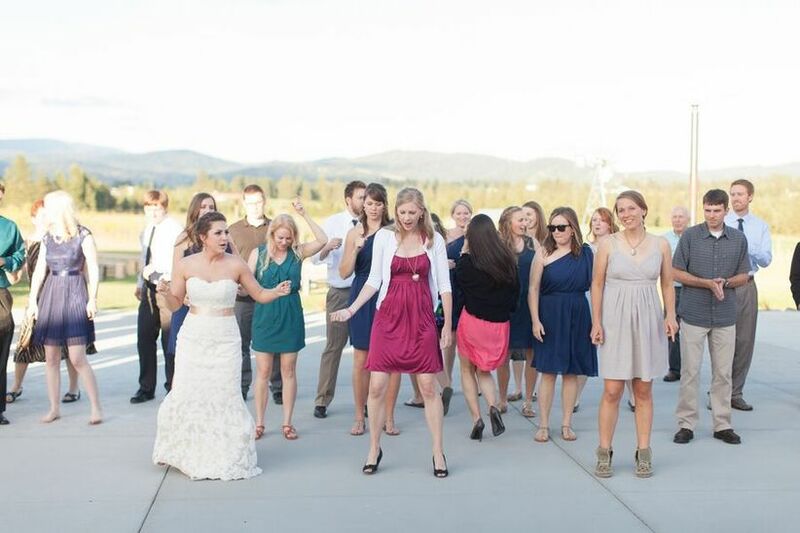 And who knows, you may even get snatched up for a slow dance song when everyone sees how much fun you’re having. If dancing isn’t your thing, don’t fret! Going to a wedding alone means you can skip out on dancing all together. You definitely won’t feel the pressure to take your boo or plus-one to the dance floor, instead you can enjoy watching with other guests from the sidelines. At the end of the day, the couple is just happy that you made the time to come celebrate the special day with them. Therefore, feel free to make your goodbyes whenever you think it’s time to call it a night. Think you’re not up for joining the after party or starting to feel tired before the couple has done their send-off? Peace out! Going to a wedding alone means you can easily sneak out once you’ve made your appearance — especially if you have an early flight to catch the next morning.